ORLANDO, Fla. -- Officials are searching for a child who was pulled into the water by an alligator near Disney's Grand Floridian Resort & Spa in Orlando, authorities said. 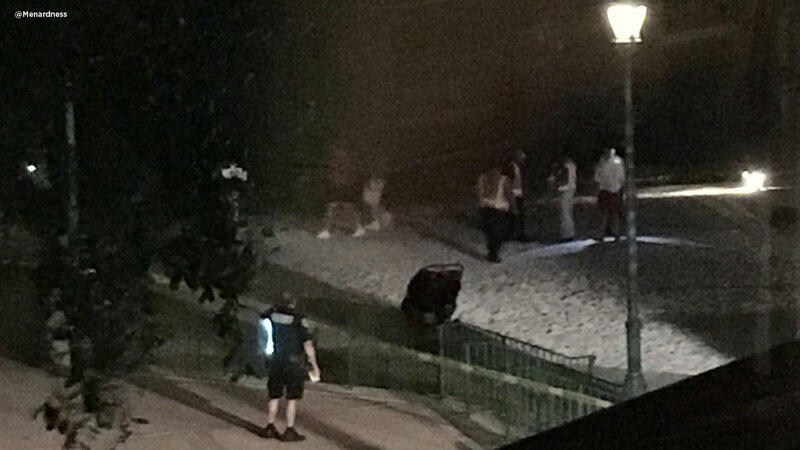 The 2-year-old child was pulled into the Seven Seas Lagoon Tuesday around 9:30 p.m., according to the Orange County Sheriff's Office. Police tape surrounded the water as spotlights were set up and helicopters flew above the resort to aid the search. The luxury resort is one monorail stop from Disney World. The man-made Seven Seas Lagoon reaches a depth of about 14 feet and is used for boating activities.